How Avid Meat Lovers Can Become Vegans More Easily? Many meat lovers come to a realization that they need to change their carnivorous lifestyle by abandoning meat completely and embracing the vegan lifestyle. They blood pressure and bad cholesterol levels have gone up, which require drastic changes in how they should eat. There are benefits that we can get from eating only vegetables, fruits and other plant-based foodstuff. The bad news is, we can no longer enjoy grilled steak, chicken stir fry, meat-loaded pizza, burgers and many other things. 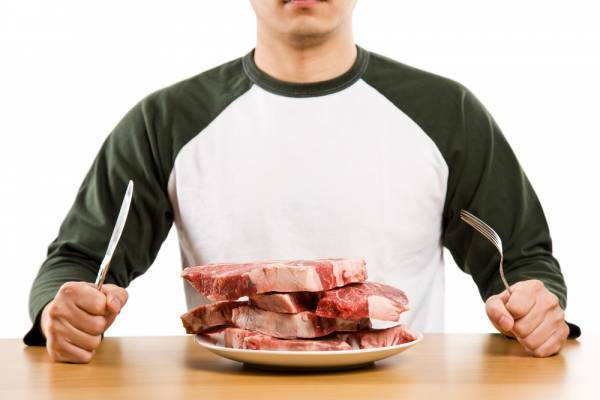 Meat lovers have become addicted to many comfort foods and it’s hard for them to drastically change how they eat. In reality, plant-based dishes can be really tasty and it only takes time for people to discover new flavours. Vegetarian dishes are much more than stir fried vegetables and salad. One good thing is that you can still use a lot of herbs and spices to create many combinations of exotic taste. Seitan, mushrooms, couscous, tempeh and tofu don’t have strong flavours, but they could absorb external flavours really well. For many meat lovers, these ingredients are obviously not meat, but their taste can be quite amazing when cooked properly. For former carnivores, there are still plant-based replacements for sausage, chicken cutlets, burger patties, lunch meat, ham and bacon. They are usually made from various soy products that are processed to bring the texture and flavour that are closer to meat. Processed Portobello mushrooms can have texture that is similar to steak and they can be grilled quite well. We may cook Portobello mushroom steaks with gravy, BBQ sauce and steak sauce, so we will get quite amazing flavour. Vegan burger patties are not only good for hamburgers, but also enchiladas and tacos. Vegans don’t eat eggs, but there are egg replacement products that are based on various plants ingredients. As an example, we can get scrambled “eggs” using nutritional yeast and extra firm tofu. As replacements for cow milk, we may use coconut milk, almond milk, hemp milk, rice milk and soy milk. It is a good thing that many sauces and condiments are mostly based on plants, so we will still get plenty of flavour with vegan diet. Some vegan Worcestershire sauces don’t contain anchovies and other animal-based ingredients. Cheese is often use in many meat-based dishes and fortunately, there are vegan cheese as well, to complement your plant-based burgers and sandwiches. Daiya brand is known for its vegan cheese product that taste, stretches and melt like dairy-based cheese. Another alternative is the slices of Tofuyyi cheese that’s based on soy bean. There’s also egg-less mayonnaise that we can choose for your vegan burger and sandwiches. Coffee creamers, whipping cream, heavy cream, cream cheese and sour cream are all available in specific stores to sustain your vegan lifestyle. For desserts, ice cream based on coconut or soy milk are quite tasty after munching those vegan main course dishes. If you know how to find it, plenty of vegan dishes do taste like real meat.